I am tech illiterate...will the Core connect to Verizon? I think I currently have the Quantum Gateway router and believe the modem is built in. It's the latest one and requires a rental fee. Will I be able to connect and get rid of the expensive router? 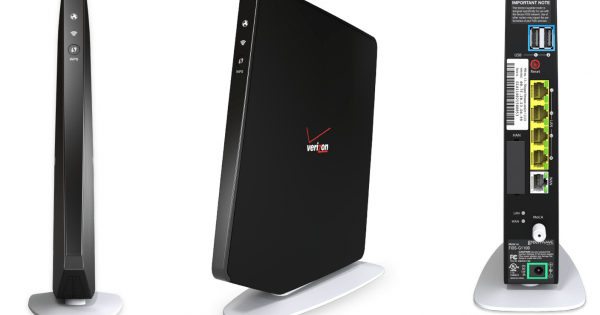 If not, will I be able to connect the Core to the Verizon router wirelessly to enhance my network? Thanks for the help. For those with Verizon Fios...I ended up calling them directly. I didnt initially because I figured I'd get the run around. They were actually quite helpful. I will need to keep my Quantum Gateway router, along with the monthly rental...probably why they were so helpful, but will be able to connect the Core using the internet port on the router. Welcome to the community. Thank you for your interest in Norton Core. MI424WRI It has a cable connection. If you search the image...the one I have is without antennae, all black. The other image is reddish/orange with antennae and is the one I had prior. As I said initially...no tech sense here. When I looked at my Verizon page online I found that (according to my equipment log) I had model # MI424WRI. Apparently they never updated the log when they sent the next one out. I actually have model g1100. Still connected with a cable. I'm sure you are all having fun with this...glad to be entertaining...lol. The best solution is to put the Verizon Gateway into Bridged Mode, so it only works as a modem. Then the Core will have full control of your local network, giving you the security you are paying for. I found one link with instructions on doing this. If you search, you will find other posts on the matter.